Do you know a military family or friend who will be moving into the Westfield area? Or are they renting and ready to explore home ownership? This home is conveniently located just minutes from Barnes ANG Base, Westfield State University, & the Mass Pike in Westfield, MA. Situated on over .6 acres in a quiet neighborhood, this 3 Bdrm Ranch has over 1100 sq ft! With a huge, walk-up attic for all your storage you can develop the whole basement into your game room, family room, or office… 3-season room connects house to garage and has front & rear entry… Central Air and efficient gas Ht & H/W… Contact me to day for more information! 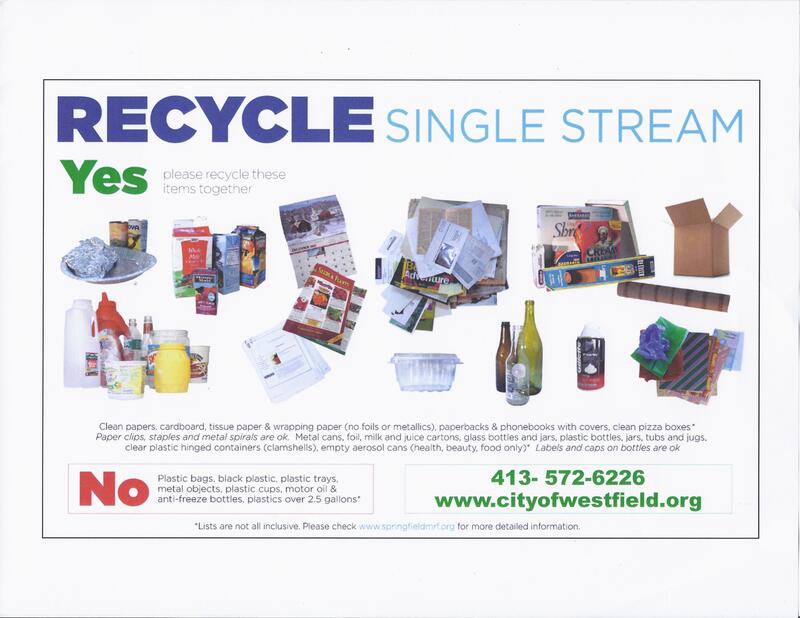 Attention Westfield Residents – Single-Stream Recycling is HERE! 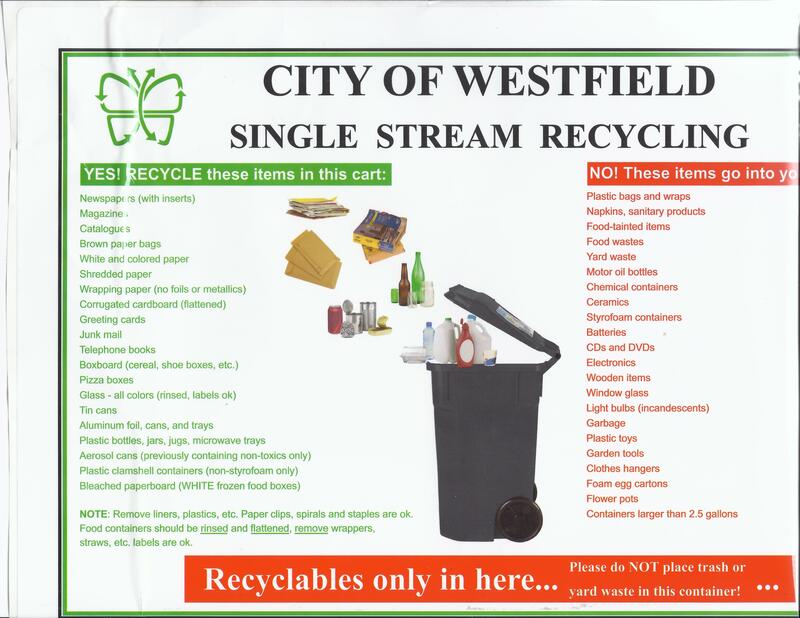 Are you a resident of Westfield? Then this post is for you! It’s time to start putting your TRASH in the burgundy cart and your RECYCLING in the grey cart. Earlier this month you should have received a packet containing instructions and a large sticker. REMEMBER: to put this sticker on the cover of your GREY cart. This sticker contains a handy reminder of what CAN and CANNOT be recycled in this bin. Tori’s Tip: If you have a lot of recycling -like our family- you may want to continue to “store” the paper/cardboard recycling in the old blue bins until your scheduled pick-up day. That way if you have limited space for one week all your messy recycling will be in the cart, simply place as much paper/cardboard in the grey cart as will fit for that week. It’s a lot cleaner to store the extra paper recycling until the next pick-up then your milk jugs, cans, and bottles. Together we can reduce trash costs for our City by recycling more items. This system should make recycling more efficient and convenient for everyone. You will make less trips to the street and there should be no empty blue bins being blown into the streets of our windy city! 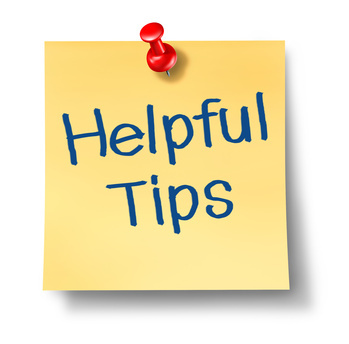 Tori’s Tip: Do you burn a wood stove in the winter? Store up all those TP and PT inserts and fill them with crushed newspaper – instant kindling! We’ve been doing this for years and it works great. We keep a bin of that in the garage too! Remember: January 5th is the start date! So this week start putting your trash in the BURGUNDY cart! And start recycling into your GREY cart! so that the trucks can pick them up easily without hitting the other carts.